Behold the fastest creature on earth- the Peregrine Falcon! 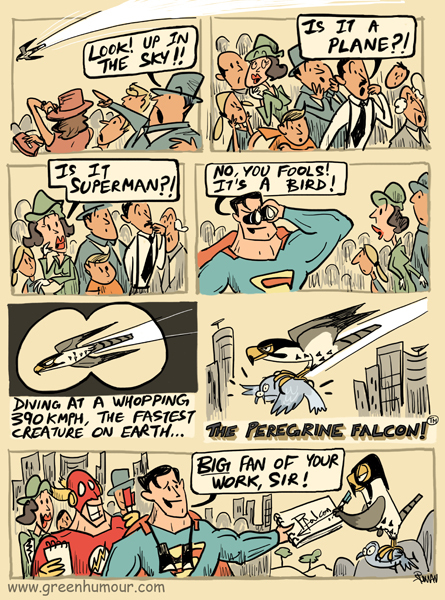 The comic appears in my column with The Daily Planet, I mean Mid-Day today (! ).